I wanted to make something special for my peeps for Valentine's Day. First I glass etched everyone's intitials onto glass jars. Then I filled each one with nail pollish and other manicure items. 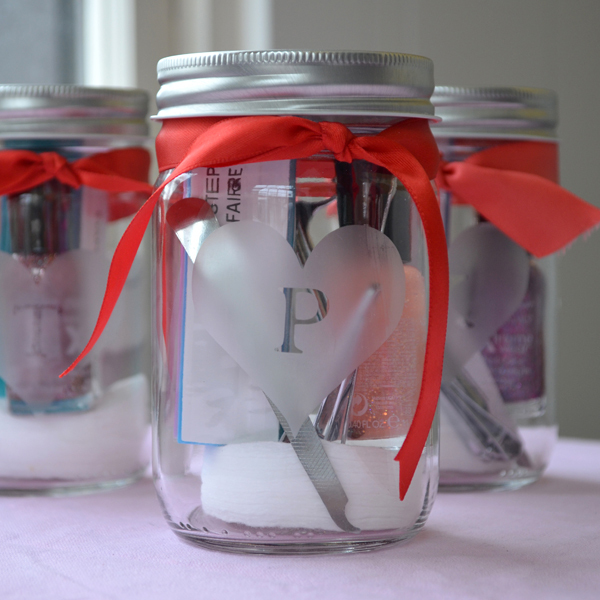 Manicure jars! Cute and handy!